Campus map for detailed information. at the Campus of the Medical Faculty of the University of Cologne. You will find the directions to the MPI here. 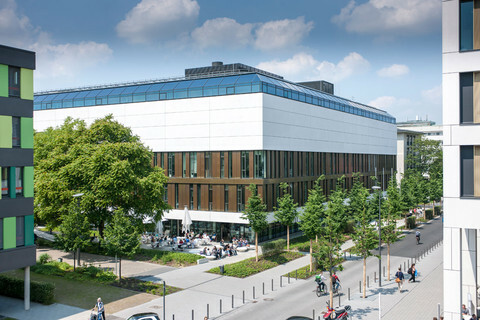 Scientific sessions will be held in the big lecture hall on the ground floor of the MPI for Biology of Ageing. The foyer will offer the opportunity for chats and get-togethers. The meeting venue is located directly across the street from the CECAD Research Center, where several of our CRC-groups are located (all directions). Arriving by car: Please note that parking spaces on the University Clinic Campus are very limited and that you will need to pay for parking.